You run your business. We’ll help keep it safe. Fight fraud and reduce the risk to your business with our high security business laser checks. We’ll help give you the peace of mind you need to run your business. From Peachtree to Quicken, when you order laser business checks from us, you’ll get business checks that are absolutely guaranteed to work with your accounting software. 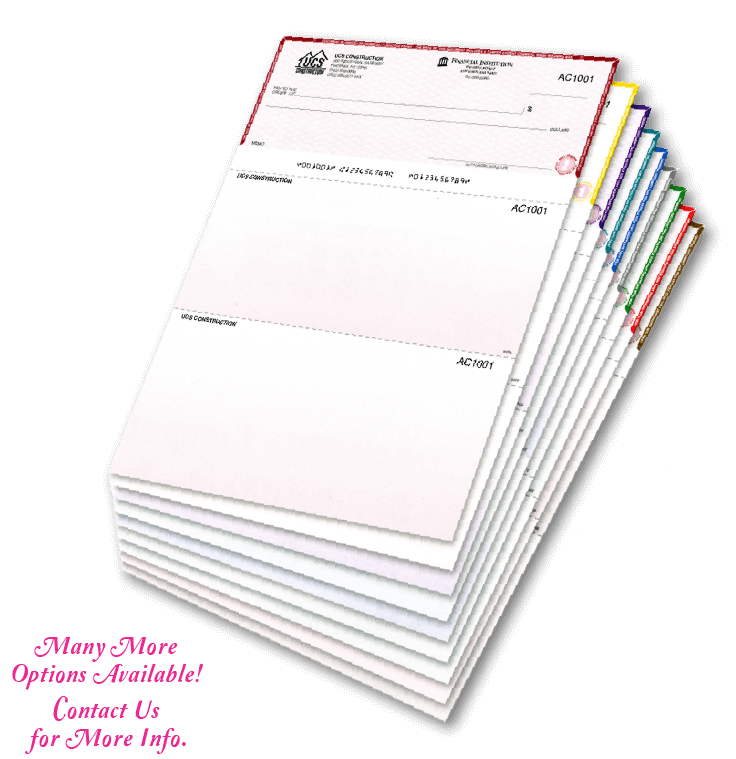 Multiple color options, 3 perforated sections, and 1, 2 or 3 copy checks are available.